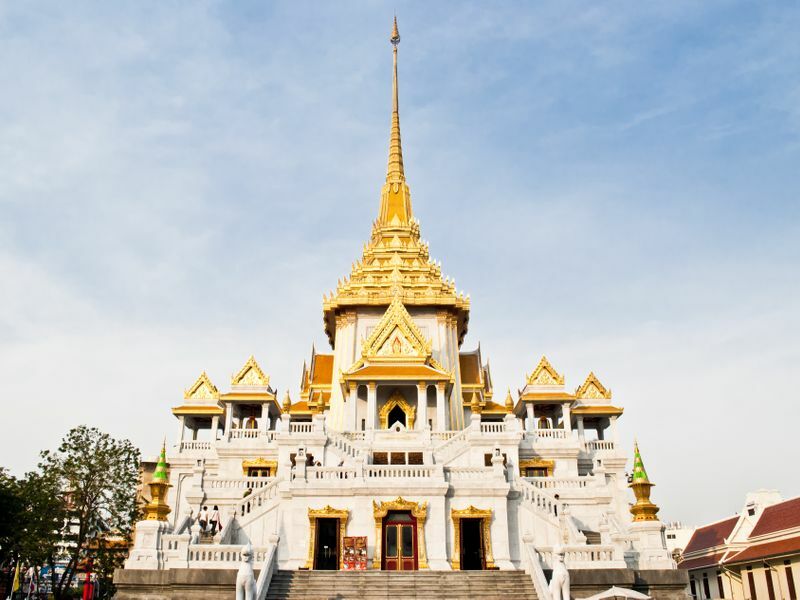 Wat Traimitr (Traimitr Temple) is famous for its biggest gold seated Buddha. The Buddha is about 5 metres tall and weighs more than five and a half tons. Craftmen crafted the Buddha in gold and use stucco and plaster to cover and hide it from enemies. 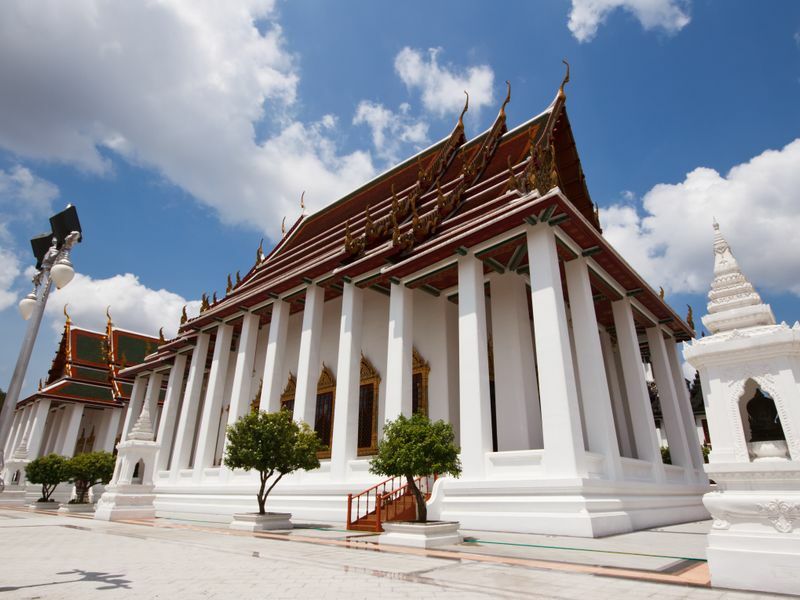 Wat Traimitr can be found at the end of Yaowarat Road, near Hualampong Railway Station and MRT Station. In fact, no one knew that the Buddha at Wat Traimitr was made from gold as it had been covered by plaster. Until one day, it was accidentally dropped during the transposition, showing a magnificent shining gold inside like a Sukhothai style Buddha. Pieces of the plasters are also shown at Traimitr temple. There is no conclusive evidence of where this statue coming from. It is assumed that the gold seated Buddha was made during 13th -14th centuries, Sukhothai Dynasty style, though it cannot be confirmed. The head of the statue was created into egg-shape which is the typical attribute of Sukhothai Buddha. As Indian had influences to Sukhothai art and metal figure of Indian Buddha was brought to different countries. There is also an assumption that parts of the Golden Buddha statue may have been cast in India. The Buddha is in traditional Bhumisparsha Mudra pose (right hand touches the earth and see Shakyamuni Buddha enlighten at Bodh Gaya) Most of Sukhothai Buddha statues sit on a common pedestal form and the ushnisha, the crown Buddha head, represents Sukhothai innovation symbolizing the glory of spiritual energy. 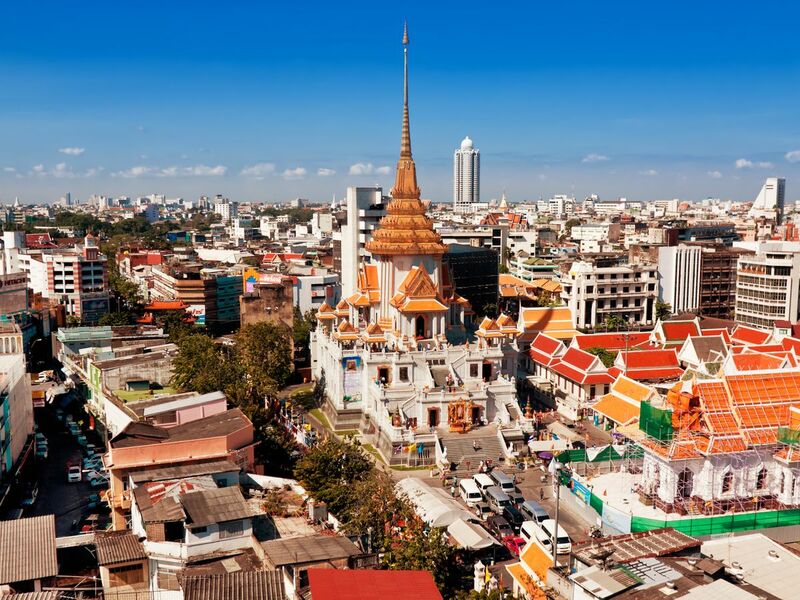 Wat Traimit Temple is mainly visited by Thais of Chinese descent as it is located very near the biggest Chinese community in Thailand. It is definitely worth a visit to withness this world's largest golden Buddha with your own eys!